Are You An Abacus Leader? Technology is an amazing tool that we heavily rely on…maybe a bit too much. (Where’s my phone?? I can’t find my phone! I NEED my phone! Wait – my phone is in my hand. Yikes! Be honest – that has happened to you, too!) We have Smart phones, iPads, Nest thermostats. It’s hard to keep up. The picture above was/is an amazing piece of technology in its day. 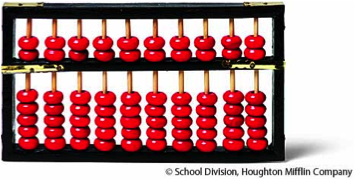 For you young ones out there who don’t know what that is, it is an abacus. It is a piece of technology from years and years ago. It is a counting frame. Kind of like the number-line you might see in the front of an elementary classroom. It is used to count on. They say (whoever they are) that someone who is skilled with an abacus is faster than someone who is using a calculator. My husband’s text message got me thinking. 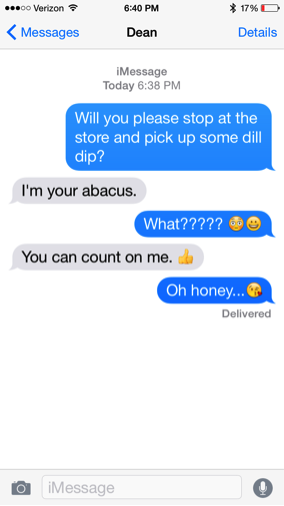 All of us should be someone’s abacus. That one person who others can count on, rely on, trust in. We are all leaders, really, so whether we are school board members, superintendents, principals, teachers, paraprofessionals, cooks, custodians, parents…we MUST be an abacus leader for others. We must be someone who others can count on. Do your people see you as an abacus? No matter what your role is in life, we would like to encourage you to be an abacus leader, an abacus colleague, an abacus friend…you count the possibilities! Dear friends, be someone others can count on this year and always! Stay Calm & Lead On! Profs Dr. C. & Dr. V.